Work – overwork – the dignity of work. In this fourth installment of my series on the American workplace, I want to challenge the pervasive American notion that working excessively is a virtue and that not working practically around the clock means that one is a “slacker.” I also want to put the issue into the context of human dignity and the common good. First, let’s look at some perceptions that help define this issue in the US. The Protestant work ethic, which defines much of our workplace landscape, is “a view of life that promotes hard work and self-discipline as a means to material prosperity. It is called Protestant because some Protestant groups believe that such prosperity is a sign of God’s grace.” (Source: The American Heritage® New Dictionary of Cultural Literacy, third Edition, copyright © 2005.) It has had an extensive influence on our capitalist economy. Expectations. There is a widespread sentiment among many Americans that working long hours – taking work home with you, working on your days off, working while on vacation – is expected by our bosses. In many cases, this is even accepted by workers themselves. Working harder and longer has become much easier and more commonplace since the advent of cell phones, smart phones, WiFi and other technology that allows one to work from almost anywhere. Not working hard. There is a related sentiment that not working excessively means that you are lazy, unproductive and not pulling your weight. Being perceived as a slacker can have negative repercussions in the workplace, some related to bullying, as we have seen. What is “success”? There is widespread admiration in the US for people who have been enormously “successful” financially, mainly through working excessively (or at least being perceived as working hard). The race issue. Among some Americans, there is a belief that people of color, especially African Americans and Hispanics, are inherently lazy, uneducated, less intelligent than whites, perhaps drug-addicted, and only capable of holding low-level jobs. When people of color are viewed as not working or holding a job, there is a perception that they are draining the public coffers by taking advantage of welfare and other benefits. 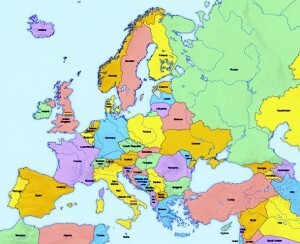 Our view of Europeans. Our European peers are often perceived by Americans as not working hard, as being unproductive, and as being taken care of “from cradle to grave” by their supposed social welfare states. The perception is probably more acute toward Mediterranean countries that still enjoy mid-day siestas. It is important to note that I am not advocating a culture that doesn’t work! Working and earning a decent living is not only a necessity for most of us, and work can bring great personal satisfaction, but working is also sanctified and dignified in Judaism and Christianity, in ways different from the Protestant ethic. In Hebrew Scripture, human beings are called to be co-creators with God on earth (e.g., Genesis 1). In Christianity, Jesus and his earthly father Joseph (both Jews) worked as carpenters, and Jesus’ followers were fishermen, tax collectors, healers, and so on. A discussion of work in the ancient world takes on special poignancy when we remember that the Jews, for much of their history, were slaves, where work was on behalf of powers beyond their control; also, early Christians and their contemporaries were slaves and subsistence laborers under the Roman Empire. Work therefore should not be worshiped as a value apart from human dignity, nor should it be excessive (and of course slave labor is an abomination). We can see the search for the dignity of work in the modern history of labor in the US. Without going into much detail, we can see that certain social forces – many of them repeating themselves today – led Americans to enact national laws to regularize labor, protect workers and make work fairer. 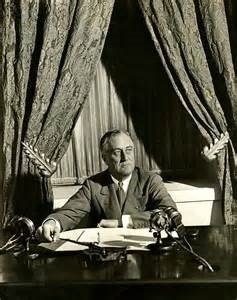 Against predictable dissent by corporate interests, President Franklin Roosevelt championed and eventually won passage of the Fair Labor Standards Act (FLSA) of 1938, which still provides the foundation for labor down to the present day. Workers can thank the FLSA for basic fairness in the workplace. Despite it, though, recent studies shine a harsh light on work trends in the US. While the real value of the minimum wage has increased 21% since 1990, the increase in the cost of living during the same period is 67%. One year’s earnings at the minimum wage today is $15,080, but the income required for a single worker to have real economic security is $30,000. If the median household income had kept pace with the economy since 1970, it would now be nearly $92,000, not $50,000. This excessive work, the fruits of which goes to the small number of people at the top of an organization, compromises the fabric of our common life. When we consistently work so many hours on behalf of this small group of people. . .
. . . we are spending less time with our own families and friends (or we are with them physically but constantly checking our smart phones).
. . . we are not able to give as much to our communities or participate in civic responsibilities or volunteer work (or we are quite frazzled trying to do it all).
. . . we can easily become overly focused on our company’s values and needs, at the expense of the needs of our larger community – including the environment. The acute daily focus on the bottom line can easily blind us not only to our own needs but those of our earth and neighbors.
. . . we are susceptible to burnout, depression, and physical illness, not to mention spiritual emptiness, and that in turns affects those around us. It is in these ways that the dignity of work begins to deteriorate: overwork is work for the sake of a powerful entity focused on profit, an entity that is fallible, draining and has a narrow purpose. The dignity of work requires that it serve a higher entity or cause that gives life, energy and purpose. In Switzerland, the Labor Act limits hours to 45-50 per week. These factors do not mean that some workers in other countries don’t find ways around the laws and work longer than the laws allow, nor does it mean that workers in Europe and elsewhere are always happy and satisfied. But for the most part, the vast majority of workers in Europe do not work excessively and thus have more time for family, friends, civic engagement, the arts, vacations, and pleasurable pursuits. (These factors, of course, are some of the reasons that European countries rank at or near the top of the World Happiness surveys, as we’ve seen previously.) These nations’ employment laws go a long way toward contributing to the common good – a healthy balance between work, family and civic responsibility – and promoting the dignity of work. The Equal Employment for All Act of 2015, Senate S.1981, has been sponsored by Sen. Elizabeth Warren of Massachusetts and is now in committee. This bill would amend the Fair Credit Reporting Act to prohibit the use of consumer credit checks against prospective and current employees for the purposes of making adverse employment decisions. The Schedules That Work Act, Senate S.1772, has been sponsored by Sen. Elizabeth Warren of Massachusetts and is now in committee. This bill would permit employees to request changes to their work schedules without fear of retaliation; ensure that employers consider these requests; and require employers to provide more predictable and stable schedules for employees in certain occupations with evidence of unpredictable and unstable scheduling practices that negatively affect employees. We can do better than being a chronically overworked nation. Let’s do this!